Now this is a very special ring! 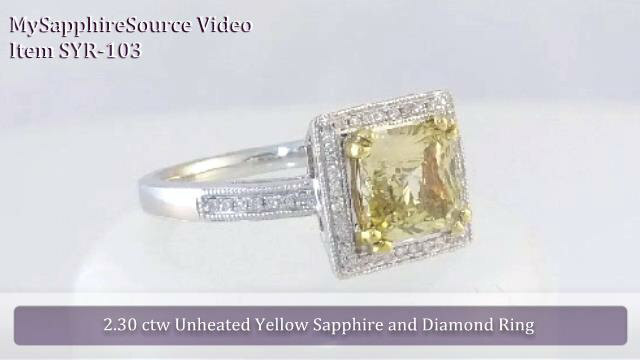 The yellow sapphire is a rare light yellow, radiant cut that is also completely natural and untreated. The sapphire is just over 2 carats, a substantial, yet very wearable size. The color is a pastel yellow; it is soft and delicate and it just glows. 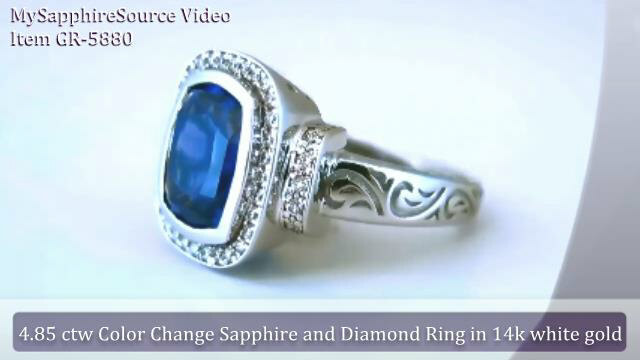 The sapphire's color is natural, not enhanced in any way, and created in the Earth millions of years ago. The sapphire is set in yellow gold with four sets of double prongs. The yellow gold enhances the color of the sapphire and contrasts beautifully with the rest of the setting which is white gold. Finally, the sapphire is eye clean and free of visible inclusions. The setting has just a tiny touch of diamonds to frame the sapphire and accent the shank and milgrain edging to complete the look. If you have been searching for a truly special and rare yellow sapphire ring, one that you will never ever see on anyone else, we invite you to consider this one of a kind ring.